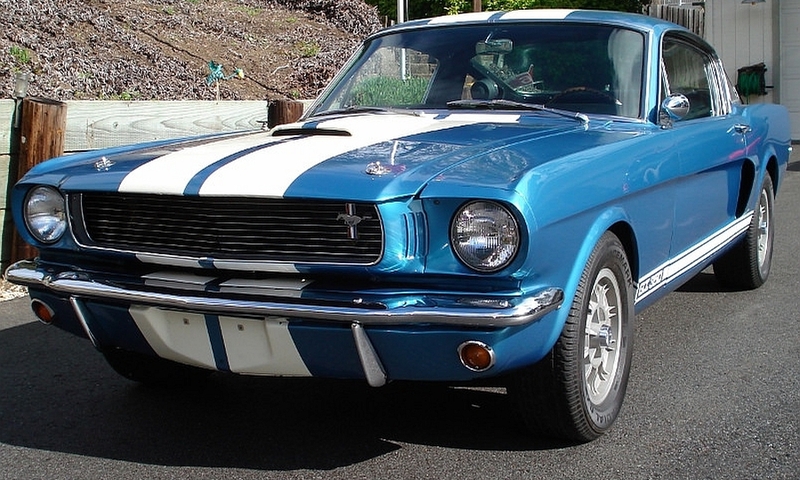 This Shelby GT350 (SFM6S1587) has been documented with mileage logged by each individual owner, and still shows less than 22,000 miles from new (1966-2014). 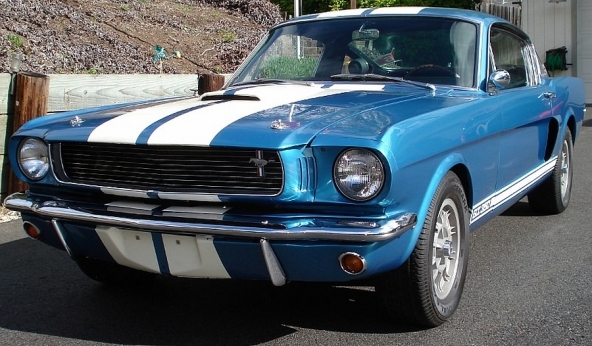 The original color of this Shelby was Sapphire Blue, with no rally stripes. The order date for this Shelby was 3/28/66. The original owner had the white "Le Mans stripes" added. The original owner also purchased a 4-speed transmission and flywheel thru the original selling dealer (documented by SAAC under warranty) and traded them the automatic transmission, bellhousing, flywheel, shifter and pedals. Independent experts who reviewed this Shelby believe that roughly 60% of the paint on this vehicle to be original, with the non-original paint that is spotted in looking very close to the original. Those same folks believe this car to have all of its original interior.